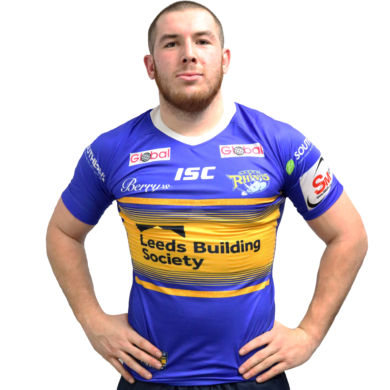 Pontefract born loose forward Cameron Smith is a product of the Rhinos Academy and joined the club’s scholarship in 2013. He made his Rhinos debut in 2016 against Huddersfield Giants and made a further three appearances over the next two seasons. Last season he made an impact on the first team in his 19 appearances. The young forward has also spent time on loan with Bradford in 2017, where he gained valuable game time, and in 2018 he appeared in two games for Featherstone on dual registration. He attended Castleford Academy and played for Castleford Lock Lane and Castleford Panthers. With the Panthers he won the Challenge Cup and District Cup in 2013. His childhood hero was Jamie Peacock and the player he most admires in the game is South Sydney Rabbitohs player Sam Burgess. He comes from a sporting background and his brother Daniel previously played for the Rhinos and his uncle Tony played and coached Wakefield. Warners Fish Merchants are based in Doncaster, South Yorkshire. We are the leading importers of Icelandic frozen at sea haddock and cod in the UK.